These pics are from a mail, I got today morning. 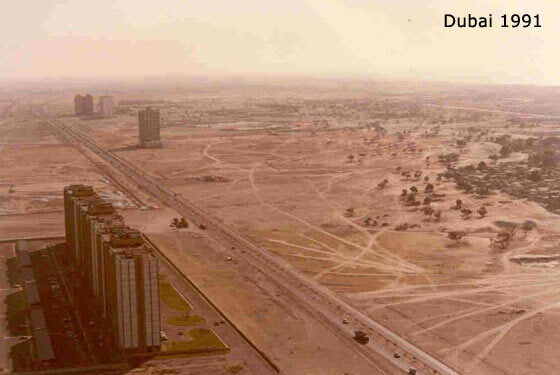 Two photos of Dubai taken from the same angle and place. One was took in 1991 and the other, after 14 years. How is the Difference? Not finished.. its still growing, growing and growing…! Can you guess how it will be after the next 14 years? Great pictures, I know, I took them! But wherever you nicked them from the date is wrong the first one is march 1981 not 1991. 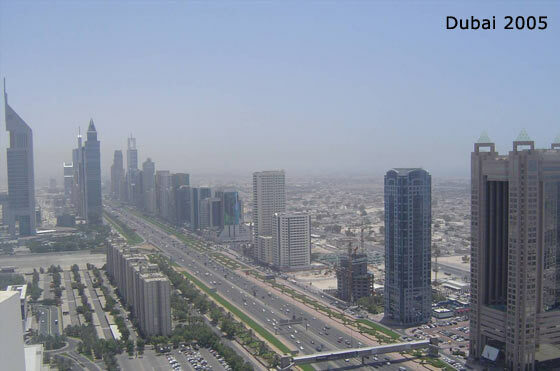 It is said that the top 300 out of the Fortune 500 companies are located in the UAE, no wonder it has a rapid growth. Many real-estate investors are flcoking into this land of opportunity. Wow!!! Thats a really incredible picture, and really really scary! I’d be really interested to see what it will be like in 14 years, part of me really wonders if growth like that is sustainable.